thanks joanne! unfortunately it hasn’t happened yet. that butternut squash is getting lonely on my counter though… haha hopefully this wkend. Ooh, i’m intrigued by the hawaiian chicken. hope you’re having a fab week, friend! 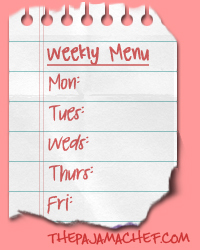 The whole week sounds delicious! Sunday is my favorite, perhaps it’s because I just ate too much, but a day devoted to snacks and desserts is exactly my idea of celebrating the Sabbath!